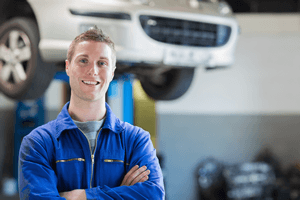 We’ve been the number one choice for Gig Harbor auto repair and we are proud to be part of this wonderful community. Our customers are our top priority, and that is why our team is dedicated to continually providing you with the best automotive service possible. Our goal is to help maintain the life and longevity of your vehicle so you get the most mileage for your money. We are also recognized by the EnviroStars Program in Pierce County as a 4-star environmentally responsible business. Bring your car in for it’s next service or repair and see why so many people from Gig Harbor and Fox Island choose Gig Harbor Automotive Service! 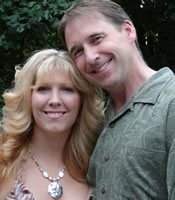 Brian and Jen bought our Gig Harbor auto repair shop in 2008, and they enjoy making it their own and watching it grow. changes in automotive technology. Jen jumped into the business with both feet, and is in charge of everything from bookkeeping to landscaping. The team says Jen is their favorite because she signs their checks. Brian and Jen live in Gig Harbor with their three kids; Allie, Luke, and Zoey. They enjoy time with their kids, movies, books, trips to Jen’s folks place in Winthrop, and golf (well, Brian enjoys golf, Jen enjoys laughing at him). 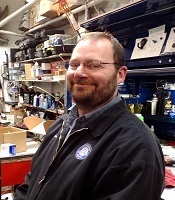 Jeff started working as a technician in 1988, and achieved his “Master Technician” certification in 1990. He’s been with us since 2009, and has proven to be extremely capable in his craft, as well as bringing a great sense of humor to our shop. Jeff is a huge San Jose Sharks fan, and is adamant they’re going to win the Stanley Cup this year… or maybe next year. He lives in Gig Harbor with his wife Leslie, daughter Isabella, and son Jackson. Jeff enjoys family time, golf, and camping. Dion joined us in 2014, hit the ground running, and has proven to be a wonderful and highly capable addition to the GHAS family. He’s been in the industry since 1988, became ASE certified in 1991, and achieved his ASE Master certification after he joined us. Working on cars is in Dion’s blood - he owned and worked on his first car before he was old enough to get his license, and when you watch him, it’s obvious he’s passionate about his craft. He lives in Bremerton with his wife Karrie and their sons Darle and Darren, who are both in college – needless to say, Dion appreciates your patronage! 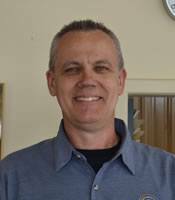 He enjoys time with his family, camping, Frisbee golf, Christian concerts, volunteering at his church, and, you guessed it – working on cars. 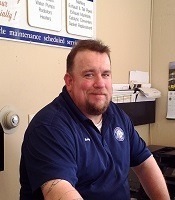 Andy has been in the industry since 1985, and has been an ASE Certified Master Technician for almost two decades. He was a welcome addition to our team in the beginning of 2014, and brings many great qualities to his position. We call him our resident interpreter – he’s the guy who takes all the technical jargon Jeff and Dion deliver to him, and translates it into something that our customers can easily understand. More often than not, his is the voice you’ll hear on the phone when you call, or the smile you’ll see at the front counter when you visit. Andy lives here in Gig Harbor, is the father of five, and also became a grandfather last year. He’s a huge Seahawks and Mariners fan, and also an avid and accomplished bowler.